Click on “Load Contact File” button to load contacts, then select send button for message sending process. 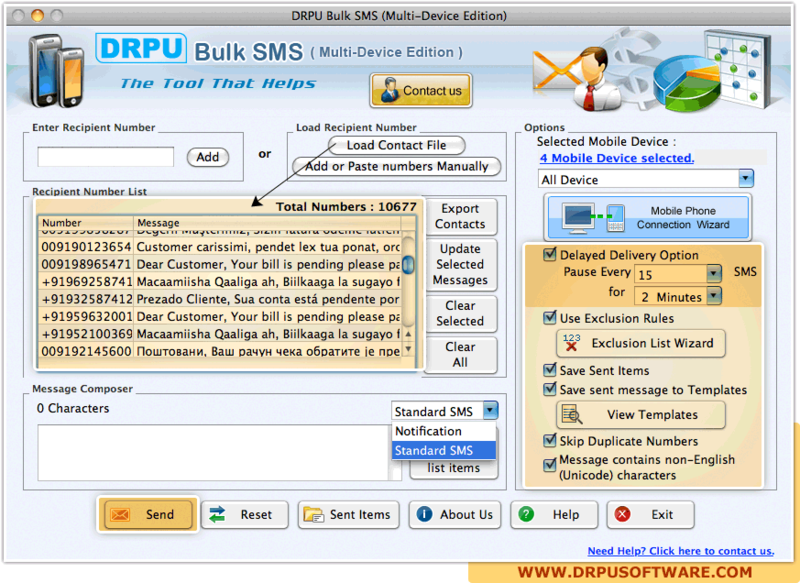 Screenshot shows message sending process. 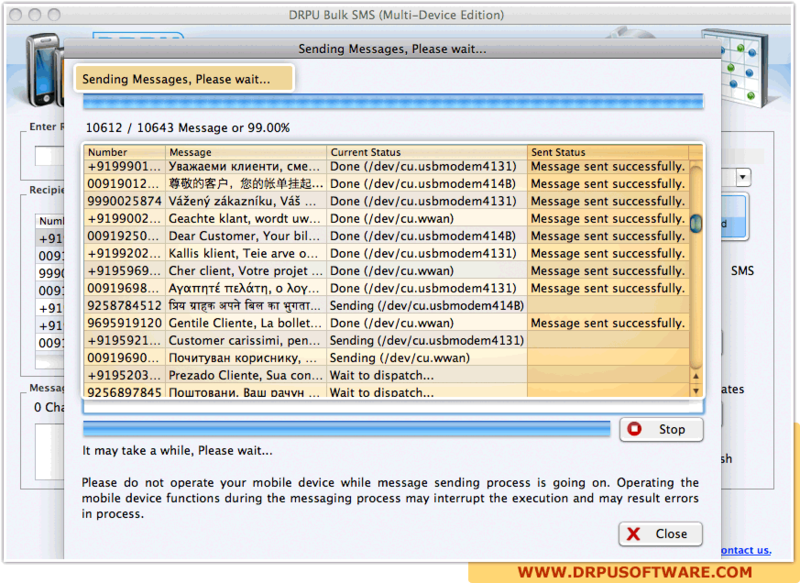 Sent messages save in template list, click on “Use Template” button to send particular selected message.